Lynda Ios App Development Creating Imessage And Sticker Applications | Free eBooks Download - EBOOKEE! Stickers and iMessage apps-which give users the means to express themselves in more colorful ways within Messages-have become increasingly popular. In this course, learn how to leverage your existing iOS development skills to create your own sticker packs and iMessage apps. 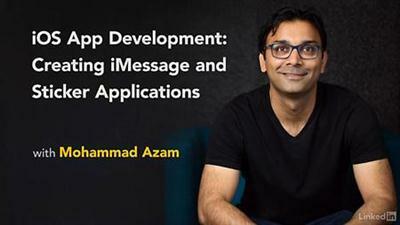 Mohammad Azam walks through the basics of iMessage app architecture, discussing the difference between sticker and iMessage apps, options for structuring your apps, and how to programmatically request a presentation style. He also explains how to create sticker pack apps with and without code. To wrap up, Mohammad demonstrates how to implement a messaging application which allows users to send and receive secret messages. No comments for "Lynda Ios App Development Creating Imessage And Sticker Applications".